Another project completed is the fur flap booties. 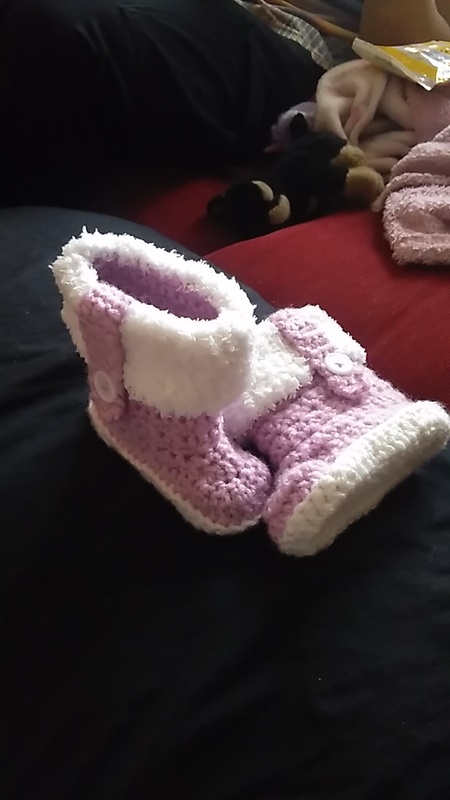 These are worked up using a 3.5mm hook with chunky white for the soles, doubled up light pink for the booties and white fluff for the cuff. A white button had been sewn on to hold the flap in place.